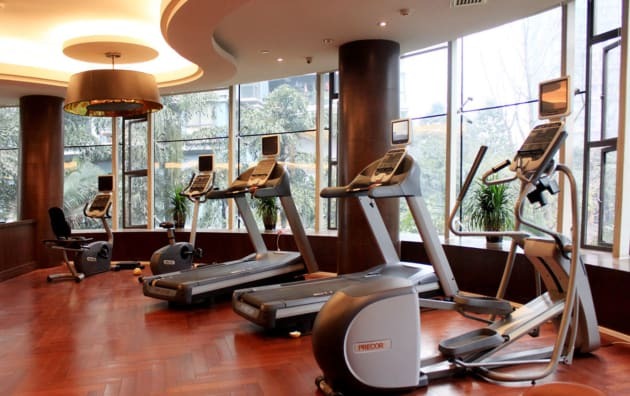 Stay at the centrally located Crowne Plaza Chongqing Riverside hotel for state-of-the-art business facilities and natural hot springs. The soaring Lobby at Crowne Plaza Chongqing Riverside stretches 30 metres into the air, providing a bright space to meet with colleagues. Our Front Desk staff will take care of your bags and check you in to your spacious, 7th-floor Club room. Alternatively, you can simply unwind with a Chinese beer in our air-conditioned bar. 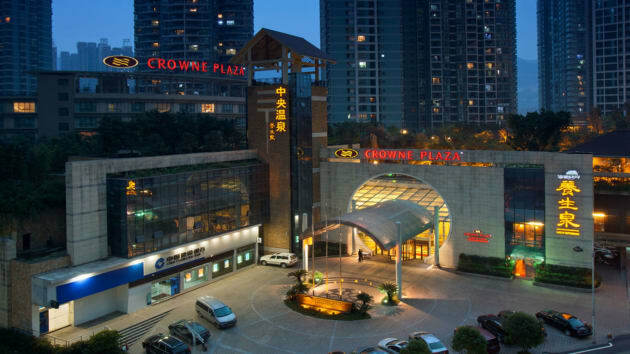 At Crowne Plaza Chongqing Riverside you're in the heart of the city's entertainment district. 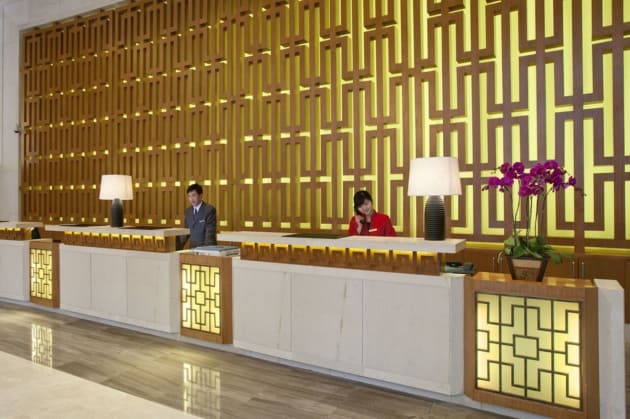 We're a 30-minute taxi ride from Chongqing Jiangbei International Airport, and a pedestrianised walkway puts you within minutes of enticing riverside bars and restaurants. The city's main business district is 5km away, and it's just 3km to Chongqing International Convention and Exhibition Centre. The neighbouring natural hot spring spa, complete with 52 individual pools, is the perfect place to relax after a day of meetings. For something more physical, check out our 2nd-floor Fitness Centre, which is kitted out with the very latest training machines. Business guests flock to our 470-seater ballroom for conferences and events. For meetings with a twist, visitors use Aroma Café's intimate private dining rooms. Either way, our Crowne Meetings Director will ensure your event is a roaring success. 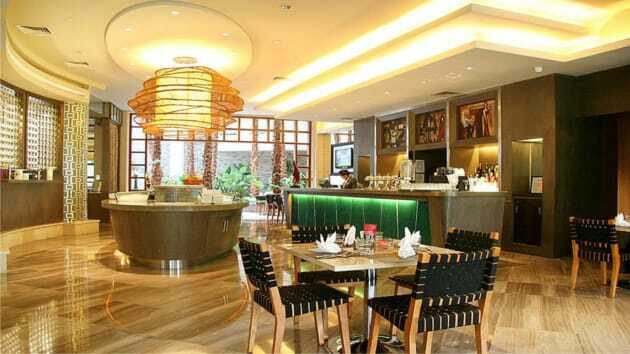 Make yourself at home in one of the 266 air-conditioned rooms featuring refrigerators and minibars. Wired and wireless Internet access is complimentary, and flat-screen televisions with satellite programming provide entertainment. Partially open bathrooms with shower/tub combinations feature hair dryers and bathrobes. Conveniences include safes and desks, as well as phones with free local calls.